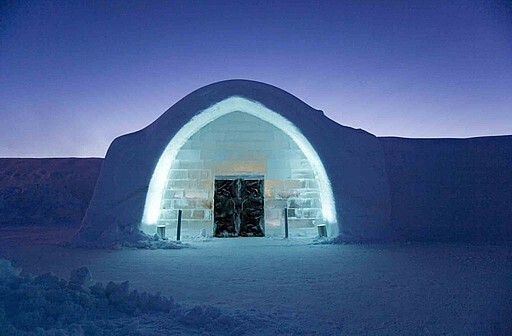 One of Sweden's Ice Homes. . Wallpaper and background images in the Sweden club tagged: sweden sverige image scandinavia tourism travel. This Sweden photo might contain portcullis.